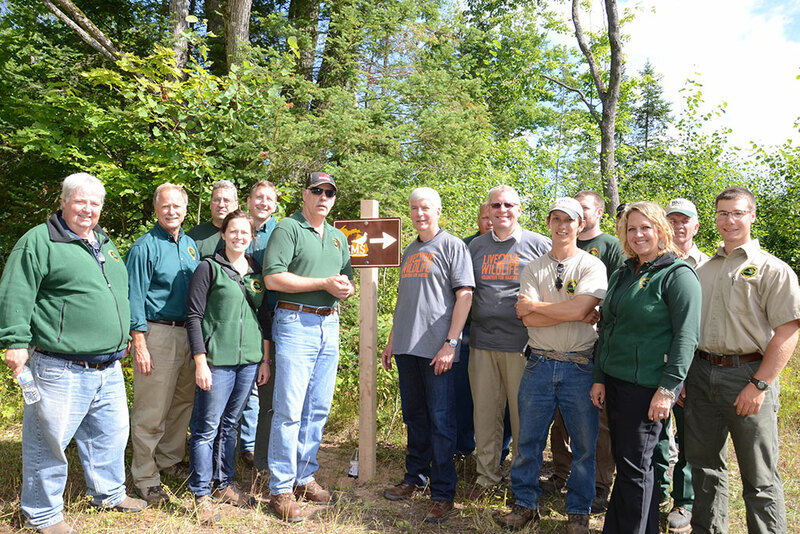 MARQUETTE — The Michigan Department of Natural Resources is set to dedicate its south Marquette County Grouse Enhanced Management Site (GEM) to Bill Rollo, a former DNR wildlife technician who worked at the Marquette DNR customer service center. Rollo, who died Jan. 21 at age 40, was a 16-year veteran of the DNR. He started his DNR career as a wildlife assistant in Traverse City and was later promoted to wildlife technician in Escanaba. He eventually transferred to Marquette, where he was responsible for wildlife management on state-managed lands in Marquette and Alger counties. The memorial GEMS celebration, formal dedication and site tour is scheduled for 9:30 a.m. to noon EDT, Friday, Sept. 9 at a GEMS informational kiosk, located along Marquette County Road 438, south of Gwinn. Speakers will include officials from the DNR wildlife division. Rollo’s widow, Andrea, and his children, Elizabeth and Landon, will be among the invited guests. The event is open to the public. To get to the dedication ceremony at the GEMS kiosk, head south from Gwinn on Marquette County Road 557 for about 7 miles. Then turn right onto Marquette County Road 438. The kiosk is located about 2.5 miles west of this intersection on the right-hand side of the road. Share the post "DNR to dedicate Grouse Enhanced Management site in Marquette County"
Categories: Marquette County and Wildlife.